The Elmbrook Humane Society is holding their Annual Wine & Whiskers fundraising gala with a Mardi Gras theme, or as they’re calling it, Mardi Paws. Mardi Paws is taking place on Saturday, February 26, 2011 from 6:30-10pm. This year’s event is being held at the Westmoor Country Club, located at 400 S. Moorland Road in Brookfield. The event will spotlight wines from around the world accompanied by appetizers, coffee, live music, dancing and a silent auction. While sipping on various varieties, patrons will have an opportunity to bid on silent auction items that include art, jewelry, event tickets, gift cards for local merchants and much more. There will also be a “wall of wine” raffle with a chance to win a large selection of wines to take home. Six spotlight items on the auction list this year are fiberglass sculptures of dogs, cats and even a rooster, beautifully hand-painted by local artists. The sculpture auction will end at the Mardi Paws gala on February 26th, and winners must be in attendance at the event. All proceeds from the event will go directly to the Elmbrook Humane Society. The mission of the Elmbrook Humane Society is to promote the human-animal bond through adoption and education, to provide shelter to homeless animals, and to prevent animal cruelty and neglect. The Elmbrook Humane Society, a non-profit organization, hopes the Wine & Whiskers event will be a huge success in raising the funds needed to help the more than 1,500 animals they provide shelter and homes for each year. The cost of the event is $75 per person, or $700 per corporate table that seats 8 people. Reservations are recommended, as space is limited. For more information on Mardi Paws, contact Elmbrook Humane Society at 262-782-9261 or visit their website at http://www.ebhs.org/. Great Lakes Pet Expo will be Saturday, February 5th, 10 am- 6pm. Klement’s racing sausages to win $$ for their rescue. hearts in the hope of continuing this walk to their forever home. JC’S JUST LOOKIN’ RANCH ~ presents “Just Horsen‘-Around“, with Tinker & Eclipse. ‘Tink‘, as his friends call him, has taken a much needed break from his demanding schedule as the Salvation Army ‘Bell Ringer’. Assisted by (mom) Carol, Eclipse & Tink will demonstrate equine tricks & training tips. HEARTLAND FARM SANCTUARY ~ Animals helping people. People helping Animals. Introducing: “Clark”, “Diana”, “Frances” and “Bertram”. A few of the resident homeless farm animals building connections with vulnerable youth. A safe, peaceful environment where they come together to heal, grow and have fun. MILWAUKEE COUNTY SHERIFF’S OFFICE K-9 UNIT ~ Presented by Lt. Jose Hernandez & “Iso”. Officer Wayne Brutza and K-9 “Dolf” will demonstrate the use of patrol K-9’s within a correctional setting. Followed by a narcotics detection demonstration by Officer Mike Smith and K-9 “Rex”. *special appearance by Sheriff David Clarke, Jr.
K-9 VEST PRESENTATION ~ Wisconsin Vest-A-Dog, inc. is dedicated to getting a bullet-proof and stab-proof vest for every K-9 officer in WI. These officers protect us and go places where it is too dangerous for human officers. Today we will be giving a vest to a K-9 officer to help with this work. ICAT AGILITY (feline) ~ It isn’t just for the dogs anymore! Presented by Celebrity Cats, Vivian Frawley & “Linus“. This handler/cat team will demonstrate how to navigate a variety of agility obstacles with feline style! 2010 ANIMAL IDOL WINNER ~ Deb & ‘TinkerBelle’ have been welcomed back to provide an encore presentation of their winning ways in becoming our first Animal Idol winner. FREESTYLE ~ Dancer’s With Woofs is proud to demonstrate the new sport of freestyle or dancing with your dog. It takes obedience to its highest level together with costumes, tricks, choreography, and music to present an entertaining performance. “RACE FOR RESCUE” ~ Racing Sausages to benefit rescue animals. It will be an all out ‘frankfurter fracas’ as area shelter & rescue group volunteers suit up as Klement’s racing sausages to win $$ for their rescues. HUNT 101. . . POSITIVELY ~ Hunt & Fetch training without the use of aversive training methods. “Henry” steps out of retirement to assist (dad) Mike in introducing a safe, fun, proven method of training your dog to hunt & fetch positively. WAR DOGS ~ Presentation by a group with the breeds of dogs used in the United States military. Featuring Jerry Witt, a Scout Dog handler in Vietnam. Learn how our companion animals have, and continue to provide K-9 service for our Country. CATS 101~ Feline primer for first time or the seasoned Cat owners. Declaw . . . why not? Behavior questions? Ask Vicki, affiliated with Cats International for suggestions. Handouts available! THE PET APOTHECARY ~ Specializes in the preparation of veterinary custom prescriptions. This requires an understanding of the pet animal needs, together with an understanding of the physiology and pharmacology of these patients. K&R SMALL ANIMAL SANCTUARY ~ Educational discussion on the pros and cons between having hamsters, guinea pigs, rabbits and chinchillas. You’ll also earn how to setup a cage and environment to keep your new furry friend happy! MILWAUKEE COUNTY SHERIFF’S OFFICE K-9 UNIT~ Meet some of the working K-9’s and Officers, as they provide an insight into their job in a correctional setting. FERRADISE! . . .FERRETS IN PARADISE~ Sharing your life and home with Ferrets. This rescues mission is to help support rescued Ferrets by giving assistance to first time owners in providing ultimate care. FIRST AID for your PET and Exotic Pet Demo ~ presented by Dr. Marla Lichtenberger, Milwaukee Emergency Center for Animals (MECA) & Dr. Jennifer Bloss, Brookfalls Veterinary Hospital . ANIMAL FAIRY CHARITIES ~ Helping foster national & international prevention of cruelty to animals and aid in their safety and welfare. Offering education, advice & assistance with raising funds while teaching children through experience and leadership. FIRST AID for your PET and Exotic Pet Demo ~ presented by Dr. Marla Lichtenberger, Milwaukee Emergency Center for Animals (MECA) & Dr. Jennifer Bloss, Brookfalls Veterinary Hospital. CENTER FOR AVIAN REHAB ~ It’s for the Birds! Presented by Lori Drew, CVT, CAS. Nutrition is Everything! Emphasizing the importance of excellent nutrition for birds, as they rely totally on us for that. Also stressing safety issues for the birds- things many people may not know or talk about. RALLY OBEDIENCE ~ Greater Racine Kennel Club presents Rally Obedience. In this newer, more interactive obedience event, our dog/handler teams will navigate through a Rally course, demonstrating the teams ability to complete a variety of exercises. ROMP ~ Thinking of taking your dog to a dog park for the first time? Learn about the benefits’ of off-leash dog exercise/socialization, basic rules/petiquette of dog parks. Now that you’re ready to go…learn about some nearby dog parks in SE Wisconsin. DOOR COUNTY SLED DOGS ~ presents The Making of a Sled Dog. This city dog team shares their history and expertise on how you too, can experience your own fun with this increasingly popular sport! When should My Pet Go To The Vet? ~ Dr. Andrew Linklater of the Animal Emergency Center (AEC) will provide invaluable information to help determine when you need to seek Veterinary care. Guidelines for a young or new addition to the family. D2CARE ~ Deaf Dog Connections, Advocacy, Resources and Education. Connecting deaf dogs with caring people. Dedicated to prompting the health, welfare, and quality of life for deaf dogs through outreach and support. VETERINARY DENTISRY ~ Dr. Dale Kressin of My Pet’s Dentist, presentation on facts and popular misunderstandings associated with dental care. The importance of oral examinations by the owner to prevent periodontal disease. PAWS WITH A CAUSE ~ Trains assistance dogs nationally for people with disabilities and provides lifetime team support which encourages independence. PAWS promotes awareness through education, presented today by Donna Schmitt and “Dasher”. This 11 yr old K-9 is still active in dog sports and has been ‘demo dog’ with mom for over 6 years. YMCA Humane Education and Leadership Program (YHELP) ~ Sponsor-A-Scholar program, student initiated program striving to improve animal welfare in Milwaukee through education & service. BAD: BATTLE AGAINST DOG FIGHTING ~ Friends of MADACC present this comprehensive program to promote community awareness; striving to improve animal welfare, enhance public safety and protect Pit Bulls from the horrors of dog fighting. Animal Fairy Charities ~ Premier organization teaching compassion to young children through education, experience and leadership. A national & international outreach program with members dedicated to the prevention of cruelty to animals. PATHWAYS TO HOPE ~ Sr. Pauline Quinn, founder of the ‘Prison Dog Program’; which is based on mutual respect and dignity where love is the focus, more than control & intimidation. The PDP came to national attention through a movie titled; “Within These Walls”. Ruffin’ It Resort, Madison’s premier doggie daycare and hotel, was presented the Angie’s List 2010 Super Service Award; only 5% of businesses nationwide on the List qualify for this coveted award! Angie’s List is a growing collection of consumers’ real-life experiences with local businesses. According to Angie’s List website, more than one million consumers nationwide use Angie’s List to find reliable professionals in their area. The consumers in our area have consistently given Ruffin’ It Resort an ‘A’rating across service categories. Ruffin’ It Resort is honored to receive such a prestigious award and expresses gratitude to those who have shared their wonderful experiences with the community. Ruffin’ It Resort strives to treat every canine guest as their own and prides itself on making dogs’ dreams come true. With our state of the art facility and passionate caretakers, we are equipped to personalize each and every guest’s stay! Please visit http://www.ruffinitresort.com/ for more information regarding Ruffin’ It Resort’s countless “pawmenities”. Gloss Photography Studios is proud to announce the 2nd annual ProjectStella, our fundraiser benefiting the Wisconsin Humane Society! In 2010, we photographed over 80 pets and raised over $5000 for WHS. With a $50 donation you will receive a single pet photoshoot at Gloss, 1 artist’s choice fine art 8×10 photograph, online proofing, artist’s choice FB/Blog image, 1 ProjectStella wristband and admission for 2 to the ProjectStella fundraiser event. The event will be held at the beautiful Villa Filomena on Saturday March 12th, 2011 from 6-9 PM. The ProjectStella event will feature snacks, entertainment, silent auction, cash bar and more. ProjectStella photoshoots will be held through the end of February. Schedule your shoot now and support this fantastic cause! HAWS, the Humane Animal Welfare Society of Waukesha County, continues to have an active role in the assistance of the dozens of displaced victims and their pets from Saturday evening’s Waukesha apartment building fire. HAWS’ Animal Rescue Team was initially called to the scene shortly after 5:00 p.m., as several cats that had escaped the blaze were in need of safe housing. Residents searching for pets were also able to give reports to staff on the scene, to enable any cats reported as found by neighbors to be more quickly matched with their waiting owners. Overnight and into Sunday HAWS handled the transfer and care of 7 cats: one cat continues to be held in safe-keeping at HAWS, while another cat is in treatment at the Emergency Veterinary Service facility in Waukesha . The remainder of that group of cats has been reunited with their owners. However, HAWS holds missing reports for an additional 6 cats. Waukesha residents who have seen cats wandering or have found a lost cat in the area near North and Madison Streets should contact HAWS at 262-542-8851 to file a report. This tragedy reminds us all to prepare for everyday emergencies. Create a pet emergency kit before you need it, with a carrier in an easily-accessible location, and include food and water, leash, medical records and feeding schedules, cat litter or dog waste bags, identifying photos and toys. If possible, find a trusted neighbor who will assist if you are not home during an emergency to take care of your pet. HAWS is always available to house companion pets for the short term when a disaster or emergency occurs. Anyone wishing to donate to HAWS to assist with animal emergencies can log onto our website – http://www.hawspets.org/ – and choose the DONATE button, or call 262-542-8851, x112. 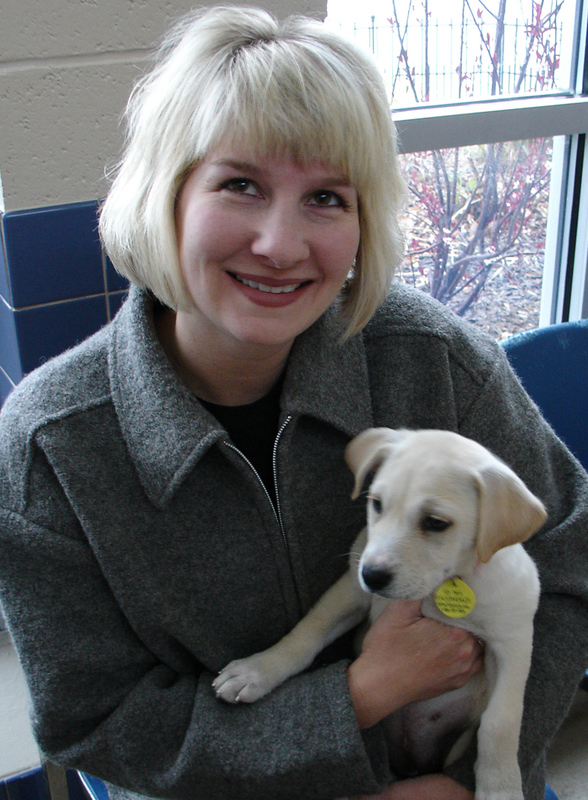 The Wisconsin Humane Society is pleased to announce it has named Beth Maresh as its director of the Wisconsin Humane Society Ozaukee Campus: Victoria Wellens Center. The Wisconsin Humane Society (WHS) is the largest animal welfare organization in the state and is nationally recognized for its leadership in the animal welfare field. WHS began construction of a new Ozaukee shelter in Saukville in March 2010, and the Ozaukee Campus is scheduled to open later this winter. “Beth’s leadership ability and vision will be great assets in ensuring the continued prosperity of the Wisconsin Humane Society Ozaukee Campus,” said Anne Reed, executive director of the Wisconsin Humane Society. Maresh is the current director of programs and services at the Wisconsin Humane Society, and has coordinated programs at both the Milwaukee and Ozaukee shelters for three years. Prior to coming to WHS, Maresh served as the director of financial assistance unit at Transitional Living Services in Milwaukee. Maresh and her husband, Chris, have been Cedarburg residents for almost twenty years. They share their home with dogs Norman and Clarence. The Wisconsin Humane Society (WHS) invites low-income cat guardians to have their cat spayed or neutered in celebration of Spay Day USA on Tuesday, February 22, 2011. Spay Day USA is a national day of action to reduce animal overpopulation and thus, prevent animal suffering. Guardians will be charged veterinary fees on a sliding scale ranging from only $10 and up, based on family income, size and other factors. Last year on Spay Day alone, WHS spayed 110 animals! WHS veterinarians, volunteer veterinarians and WHS vet technicians all contribute to this impressive effort. In addition to Spay Day, the Wisconsin Humane Society also offers the Spay Neuter Assistance Program (SNAP), which is the perfect solution for individuals who understand the benefit of spaying or neutering their cat or dog, but cannot afford the veterinary fees. WHS vets perform the surgery and charge fees based upon family income. Spaying or neutering not only combats animal overpopulation, but also reduces the risk of certain types of cancer and decreases many behavioral problems. To register your cat for Spay Day, please call (414) 431-6132 before February 15. For information about the SNAP program, call (414) ANIMALS. Information about the benefits of having your animals spayed or neutered can also be found on the WHS web site at http://www.wihumane.org/ .